Ed Emshwiller was an American experimental filmmaker and sci-fi illustrator. 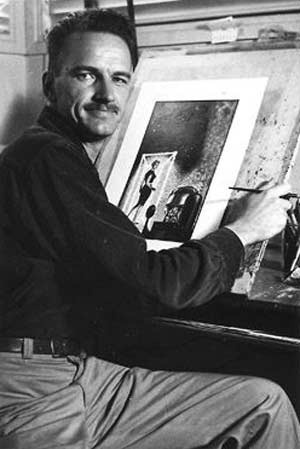 After earning a bachelor of design degree from the University of Michigan in 1949, Emshwiller studied graphics at the Ecole des Beaux-Arts in Paris and at the Art Students League of New York. He then quickly established himself as a prolific illustrator for science-fiction and men's adventure pulp magazines, digests and paperbacks. In the late '50s, and particularly the early '60s, Emshwiller became heavily involved in the underground film scene in New York City. 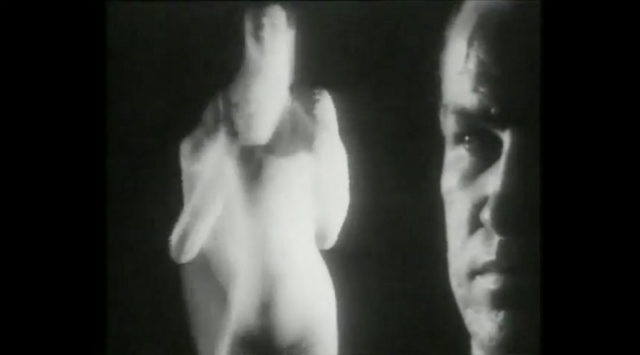 In addition to making his own films, he was the director of photography on films such as Adolfas Mekas's Hallelujah the Hills. Later, Emshwiller moved to California where he became the provost and dean of film and video at the California Institute of the Arts in Valencia. Emshwiller passed away on July 26, 1990. Thanatopsis by Ed Emshwiller. Made 1960-62, according to Sheldon Renan’s An Introduction to the American Underground Film. Jan. 21, 1968: This condescending article belittles several underground films that have achieved classic status since, such as Blazes and Christmas on Earth. Feb. 5, 1966: A celebration of underground filmmakers applying art techniques from other mediums to film, such as Andy Warhol and Bruce Conner. Who Was Underground In ’67? Here’s a list of filmmakers that author Sheldon Renan wrote bios for in his seminal ’67 book An Introduction to the American Underground Film.